This week is the inaugural Tokelau Language Week (29 October – 4 November). The theme is Ke mau ki pale o Tokelau: Hold fast to the treasures of Tokelau. To celebrate, the Pacific Cultures team will post a blog each day highlighting cultural treasures from Tokelau in Te Papa’s collections. Today, in this third blog post we look at tokelau fishing boxes. Since I began working with the Te Papa collections in the early 1990s, I have admired the tuluma of Tokelau. 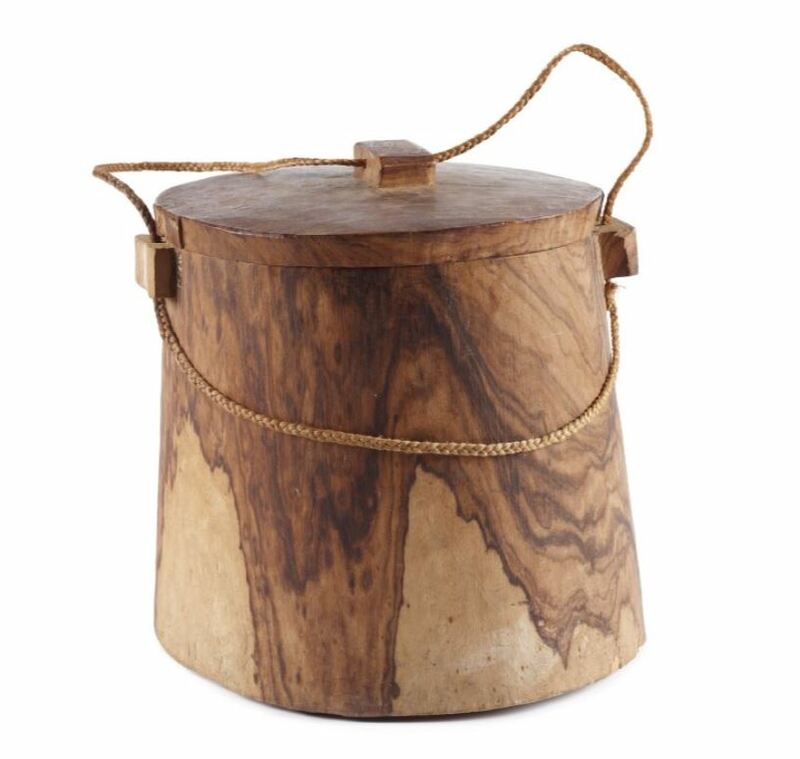 Tuluma is the name given to wooden boxes that are used to carry fishing gear in canoes or as storage containers in the home. 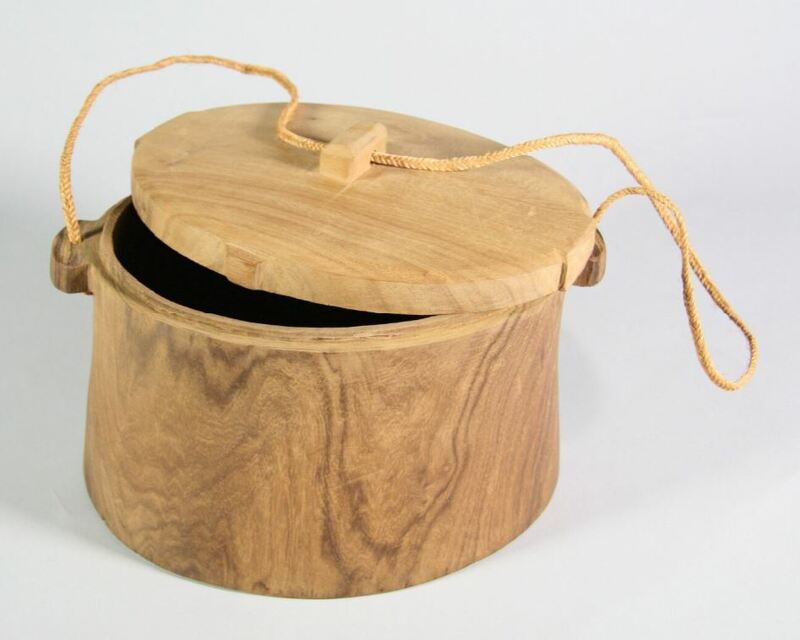 Tuluma are designed to have a tightly fitting lid held in place with a cord made from plaited coconut fibre. The looped cord allows the lid to be lashed down, keeping it attached should the box be dropped or toppled while at sea. This tuluma was made by Elia Tinielu, a member of a Tokelau community group based in Porirua, New Zealand. He has strong ties to the village of Atafu. The tuluma is made of timber from the kanava tree and has a coconut fibre sling. These materials were brought to New Zealand from Tokelau by members of the Atafu group. In New Zealand, tuluma are most often used as ornaments or storage containers. I really like the craftsmanship that goes into shaping them and making a perfectly fitting lid. The grain of the wood that the carvers use and even the finely plaited coconut fibre cord all add to tuluma’s visual appeal. In recent years, I have seen amazing polished tuluma inlaid with shell motifs and even the word Tokelau. Tuluma come in many sizes: from examples small enough to be held in one hand to very large versions, big enough to hold a bundle of cloth. I tried to acquire a big tuluma a few years ago at an auction that had a mid 20th century shipping label stuck on its lid. It was obviously used a suit case of sorts for someone travelling to New Zealand. Unfortunately, I was outbid and the tuluma went to a private collector. Here are a few examples of tuluma from the Te Papa collections. If you click on the image you can zoom in on them. Hi Sean, we have two tuluma in our collections at Te Manawa. One has shell inlay embedded in it and is said to be from Samoa. Have you seen anything like that? Could it have been a souvenir? Hi Tony, I would be surprised if the tuluma you mention was made in Samoa, unless it was made by a Tokelauan who had settled there. It could well have been collected there as Samoa was a departure and arrival point for travellers between Tokelau and elsewhere. I have seen pearlshell inlay on several examples of tuluma, although the majority are undecorated. Samoans made containers for tattooing tools called tunuma, but the shape of the container was very different. I own a tuluma which is in excellent condition and would be interested in selling it. Are you or anyone you know interested? Talofa Betty, thank you for your enquiry. We already have several examples of tuluma in the Te Papa collection but would be interested to hear more about yours. If you have the time could you please send us a message and an image via the enquiries page on the website please? What a unique design for a fishing box. The shape and build quality looks great can’t wait to try it out. Thanks for the post and pictures. You are welcome. Thank you for reading and commenting on the blog.